Juice bar kiosk is more and more popular in around the world . more and more people like cool drinks . 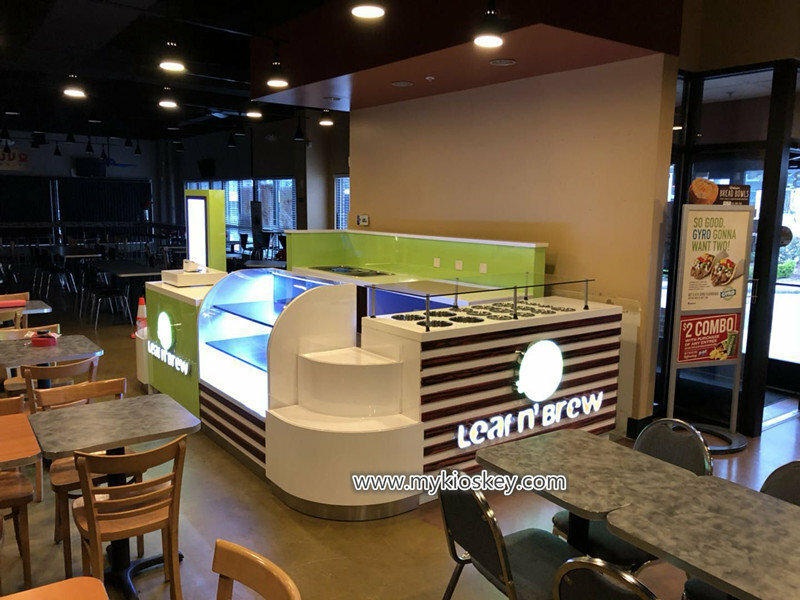 today i wanna introduce one United stated popular fresh juice bar kiosk for your meet , hope is helpful for your business . At first , let’s see how is the whole kiosk looks . 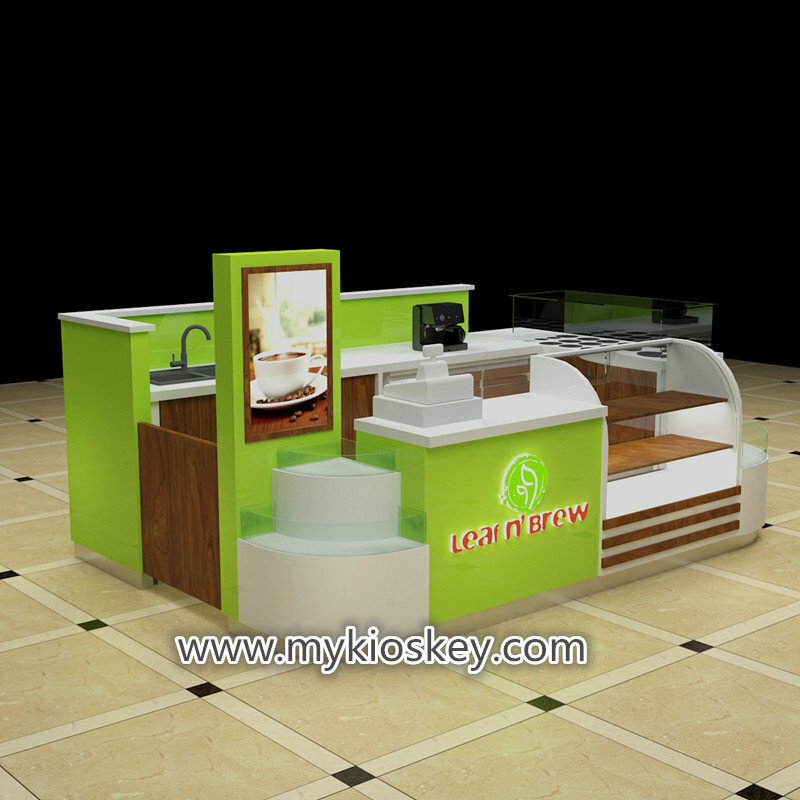 Whole kiosk mainly tone is green , match a little white and brown wood grain , very elegance and high end , the front part of this kiosk mainly do display and cashier . right sides is a big topping area , with 16 small container box for put different kind of dosing . 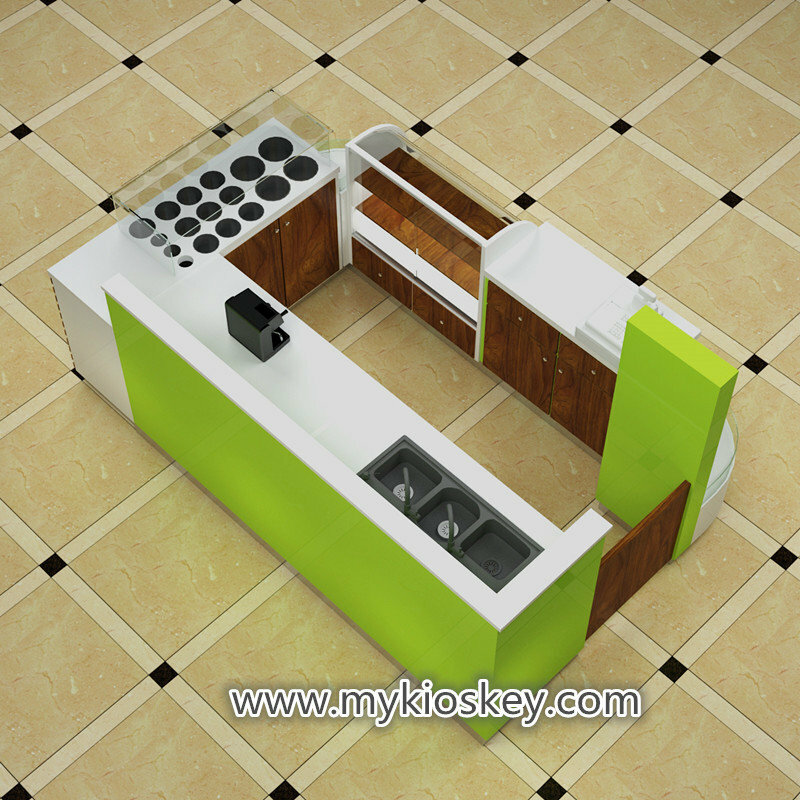 the back sides is a long wooden counter , with a three hole stainless steel sink , some wooden cabinet at bottom . 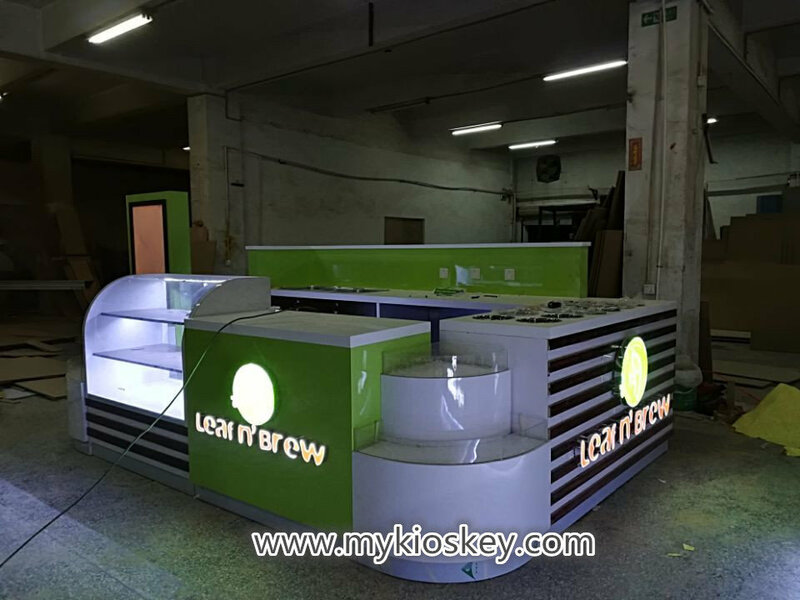 Material : the juice bar kiosk basic material is fire retardant plywood, surface is fire proof plate , white man made stone worktop . stainless steel skiring on the kiosk bottom , tempered glass dispaly showcase with cover . Some real production photos for your reviews . How can i customized a juice bar kiosk like this one ? Thanks for your time and reading , if you interested build a juice bar kiosk or want more further info . please feel free to contact us .